ML276 1BR / 1BA Wi-Fi Mountain View - ao lado de pistas e Aldeia - NICE! Você vai se sentir totalmente em casa neste condomínio acolhedor. Apenas a alguns passos do The Village e do elevador Ballhooter. Depois de chegar, estacione no estacionamento vigiado e você não precisará dirigir novamente até que esteja pronto para sair. Restaurante, lounge e centro de conferências estão todos no local. Bonito, OURO, 1 quarto (QUEEN), 1 banho, ski-in / ski-out condomínio. Magnífica vista do Shavers Lake e as montanhas da varanda. Recentemente remodelado e decorado com bom gosto. Muito limpo e acolhedor. Acomoda confortavelmente 4 pessoas. Acesso gratuito à Internet. A / C portátil no verão. Cozinha moderna com armários novos de carvalho. Geladeira, lava-louças e microondas. Fogão de tamanho completo e forno. Máquina de café. Aconchegante sala de estar com sofá-cama. TV de tela plana e leitor de Blu-Ray. Jantar para quatro pessoas. Internet de alta velocidade da rede da cidade. Ar condicionado nos meses de verão. Lavanderia operada por moedas estão localizados no corredor pelos elevadores. Unit is as nice as it looks online! Great experience. Would definitely rent again. Very good location on the mountain and though not a spacious place it still was a really good fit for a family of 4 and had what we needed. We enjoyed it. Even though weather was extremely cold, we enjoyed the warmth of this condo. View was wonderful! This rental was great! It was the perfect size for my husband and I with a well stocked kitchen for cooking. My husband stated that the bed was really comfortable. The view was marvelous and Mountain Lodge was quiet for a perfect getaway. Our granddaughter visited us and enjoyed the indoors playground. A definite place we would rent again. Neat , clean, everything we needed , would stay there again! We had a great stay, place was just what we wanted, clean, had everything we needed, close to everything, we loved it! ok experience, see complete review. 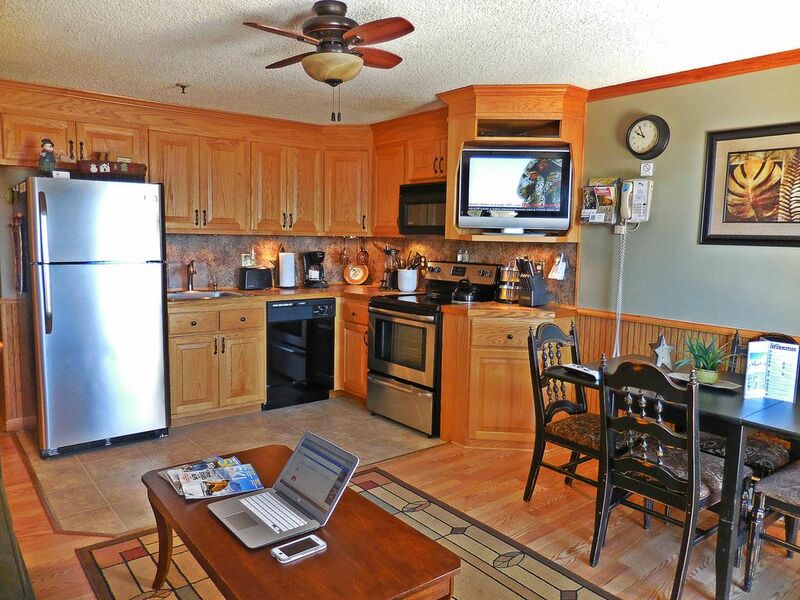 Pros: close to village and ski slopes, kitchenette was very convenient, good for 2 people, tight for 4. Cons: warm to hot, loose headboard which made the bed creak with minor movements. dishwasher door does not open completely because it hits the stove. Few areas not cleaned well prior to arrival (dust under dining room table). Absolutely great place to stay.Nice and clean, perfect for a small family.